Oakland - Gary Taubes and Frederick Crews discuss "Why We Get Fat"
Diesel, A Bookstore in Oakland welcomes acclaimed authors Gary Taubes and Frederick Crews to the store to discuss Why We Get Fat on Thursday, February 23rd at 7pm. In Why We Get Fat: And What To Do About It, science writer Gary Taubes seeks to debunk the standard "calories in-calories out" model of diet and nutrition. He argues that carbohydrates, and their ensuing insulin production, are the true source of weight gain, and that insulin's regulation of fat tissue is the true source of our modern obesity epidemic. 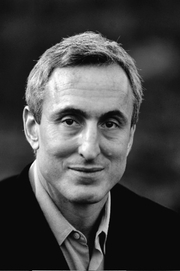 Gary Taubes is the author of several books about scientific controversy: Nobel Dreams, Bad Science: The Short Life and Weird Times of Cold Fusion, and Good Calories, Bad Calories. He has won the Science in Society Award of the National Association of Science Writers three times. Joining Mr. Taubes in conversation will be acclaimed author Frederick Crews. Throughout his acclaimed career as a writer and critic, Mr. Crews has taken a similarly skeptical position toward popular trends in the scientific, literary, and psychoanalytic communities. His many books include The Pooh Perplex, The Critics Bear It Away: American Fiction and the Academy, and The Memory Wars: Freud's Legacy in Dispute. Gary Taubes is currently considered a "single author." If one or more works are by a distinct, homonymous authors, go ahead and split the author. Gary Taubes is composed of 3 names. You can examine and separate out names.